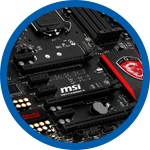 MSI (Micro-Star International Co., Ltd), is one of the largest information technology corporation famous for manufacturing desktop and laptop motherboards, graphics cards and laptops. The company’s dedicated repair centers are mostly located in Asia regions. 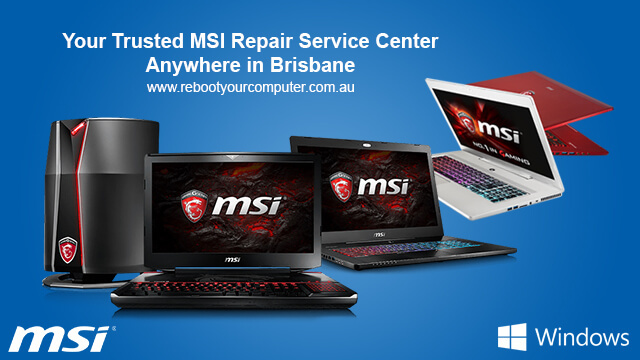 If you are living anywhere in Brisbane area and are looking for an expert computer repair service for your MSI products, Reboot Computer Repairs Robertson is here to serve you. 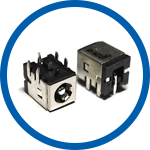 MSI DC jack repair – Wanting to have your loose MSI DC jack repaired or replaced? Our experts at Reboot Computer Repairs Robertson can do that for you! 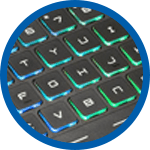 We offer nothing but the best MSI computer repairs in all of Brisbane. 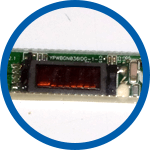 MSI LCD replacement and repair – Accidentally broke your LCD? Do not be stressed, Reboot Computer Repairs Robertson have you covered. 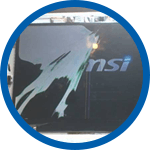 Our workshop is complete with all types of genuine MSI LCD replacement parts that are guaranteed to perfectly fit for your replacement need. MSI backlight replacement and repair – Reboot Computer Repairs Robertson offers all kinds of repairs and services for MSI computers in Brisbane. 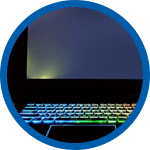 Have our experts take a look at your backlight and see if it needs a replacement or a repair. 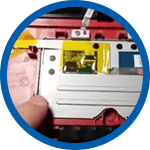 MSI inverter repair – If your LCD screen doesn’t show correct color of the images and not as bright as normal, consider to have your LCD inverter checked by an expert at Reboot Computer Repairs Robertson. There’s no need to buy a new computer just yet when you have an expert who can fix your computer problems and make it run as if it was brand new. At Reboot Computer Repairs Robertson, we give utmost value to our customer’s time and money. We will ensure that you will get the quality and affordable repair service at quickest time possible. Call now at (07) 3155 2002 with no call out fees!